Lynn Howells, who was the former Wales coach and current in charge of the national rugby team of Romania, has stepped down from his role. He recently announced about resigning from the post of the head coach of the Oaks. Along with Howells, his assistants have also left namely Massimo Cuttitta, the Italian forwards coach and Rob Moffat, the Scottish backs coach. The news was unveiled after the victory of Romania at 62-12 against Belgium in the World Cup qualifying match. Although the team did have a convincing victory, qualifying in the finals next year in Japan is a bit challenging for the team now. Howells took in charge of Romania since 2012 and assisted his team in 70 matches and made them win 48 matches. He wished the team great success and hopes that they perform well in the near future. 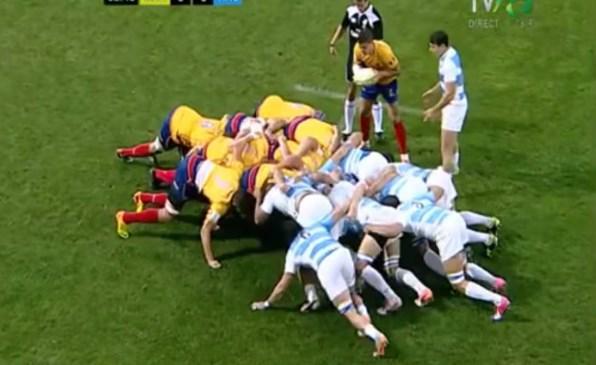 Romania had to beat Samoa to make it to the finals, which was indeed a tough task. The career of Howells as a coach goes back to around 30 years as that’s when he began his coaching job at the club level in the Rhondda. Howells joined as an assistant to Dennis John in Pontypridd in the year 1991. Under the leadership of Howells, Romania managed to achieve 4 titles in the World Rugby Nations Cup and also achieved the Rugby Europe Championship last year. His guidance was there with the Romania team throughout the 2015 Rugby World Cup, which was held in England and the team won against Canada in Leicester. Romania did lose a great coach who was always there with the team in their thick and thins and now the team has to bug up and show it to the world how competitive and successful they can be with their victories. Howells was a great coach and the Romania team will definitely miss his guidance and assistance deeply.